Mergify: Android or iOS ? 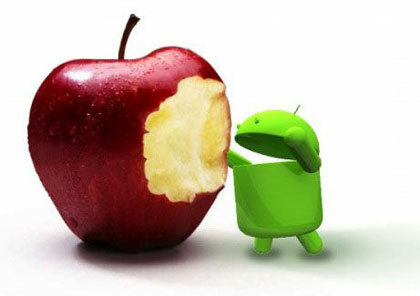 It is very tough choice.....Android or iOS?? The Android versus iOS divide is not just confined to technology alone but also accounts personal choices, The study by one of the biggest websites in world, It found that users of the two operating systems have clear differences in what they were looking for online. The study found that iOS users tend to spend 8 minutes and 40 seconds on site when they visit it and tend to leave after just 9.8 page views. They view videos 105 per cent and 66 per cent more than Android users.Android users spend an average 10 minutes per visit and peak out at 10.9 page views. Apple users were also more vague about what they wanted to watch, with 1-2 keywords being used per search, whereas Android users get more specific, often using 3-4 descriptors to find the content that they want.Within the high proportion of traffic that comes to this website is from mobile devices, 48 per cent of the shares come from Android-based devices, accounting for the majority, with iOS-based devices coming in at a close second with 46 per cent of shares. 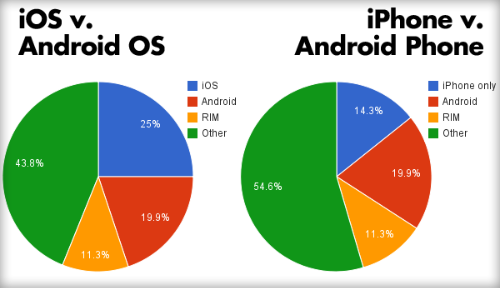 The United States, Britain, Canada and Australia are bigger iOS users, whereas countries like Brazil, Argentina and India all have many more Android users.